This study aimed to characterize the pathophysiology, including possible correlations, of clock gene expression and erythropoietin (EPO) production in the acute stage of blood hemorrhage. Specimens of human cortical tissues (right and left kidneys) and cardiac blood were collected at autopsy from 52 cases following mortality due to acute-stage blood hemorrhage following sharp instrument injury. BMAL1 and PER2 mRNA levels were determined by reverse transcription-polymerase chain reaction; BMAL1 and PER2 protein levels were assessed using immunohistochemistry; BMAL1 protein levels were quantitatively measured by western blotting; and serum EPO levels were measured by chemiluminescent enzyme immunoassay. Separately, a rat model of hemorrhagic conditions was generated and used to confirm the results obtained with autopsy-derived specimens. A positive correlation was observed between BMAL1 protein and serum EPO levels, but not between BMAL1 mRNA levels and serum EPO levels. We also noted that Per2 mRNA expression became elevated in humans who survived for > 3 h after acute hemorrhagic events, with subsequent decreases in serum EPO levels. The rat model showed that even short (30-min) intervals of blood loss yielded increases in both Bmal1 mRNA and serum EPO levels; longer (60-min) intervals resulted in increases in Per2 mRNA expression along with decreases in serum EPO. 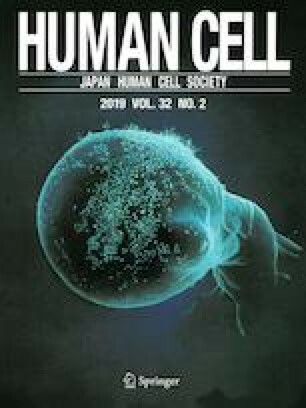 Thus, the acute-stage human hemorrhage cases and the rat hemorrhage model yielded similar tendencies for clock gene expression and EPO secretion. In conclusion, our results indicated that clock genes are involved in the regulation of EPO production during the early stages of hypoxia/ischemia resulting from the acute hemorrhagic events. All procedures performed in studies involving human participants were in accordance with the ethical standards of the institutional and/or national research committee and with the 1964 Helsinki declaration and its later amendments or comparable ethical standards. The independent Ethics Committee at Osaka City University Graduate School of Medicine approved this study (Authorization no. 2001).